Congratulations to Dr. Juming Tang. 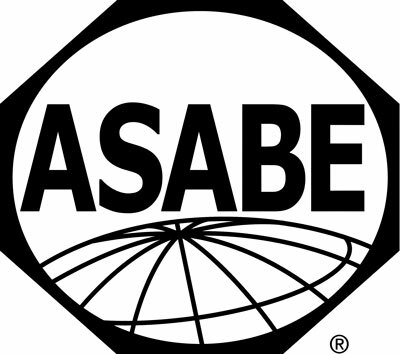 He has been selected by the M-131 Fellow committee, and elected by the ASABE Board of Trustees to the Grade of ASABE Fellow. This is an honorary status to which members of distinction may not apply but must be elected. This action reflects the high regard you are held by members of this Society. It also recognizes the significant contributions you have made in this profession. Following is a summary of Dr. Tang’s “Specific Outstanding Technical and Professional Accomplishments” as submitted in his nomination letter. Dr. Juming Tang is a food engineer with a worldwide reputation. Over the past 22 years as a faculty member he authored or co-authored 200 peer reviewed journal papers, 2 books and 15 book chapters, and received 1 US patent (licensed for commercialization), made two pending patent application and four patent disclosures. He has served as the major advisor for 32 Ph.D. students (22 graduated) and 4 MS students, and co-advised 6 Ph.D. students (supported by his grants but having a co-chair from other departments or universities), and 2 MS students. His former students now work as faculty members in food engineering at research universities worldwide (e.g., University of Georgia, UIUC, Auburn University, University of Main, King Saud University, China Agriculture University); as research engineers in major food processing and food packaging companies (e.g., Kraft Foods, General Mills, Pepsi-Cola, Mars, Graphic Packaging, and Wal-Mart); or as research engineers in computer chips design (e.g., Intel) and software design (Microsoft). His laboratory has hosted over 40 domestic and international visiting professors, students and post-doctorate fellows. The most important impact of Dr. Tang’s research is the development of a patented 915 MHz single-mode microwave sterilization technology and the supporting scientific and engineering platform that has led to FDA acceptance of two new microwave sterilization processes (in 2009 and 2010) filed by his laboratory and non-objection letter from USDA Food Safety and Inspection Service (USDA FSIS) (2012) – first ever in the US history for novel thermal processing technologies based on microwave energy. This novel technology, commonly referred to by the food industry as “microwave assisted thermal sterilization technology” or MATS, is considered as one of the major developments for food preservation technologies in recent years (Food Technology Magazine, February Issue, 2011, http://microwaveheating.wsu.edu/news/files/Food%20Tech-2-2011-JTang.pdf; http://wornick.com/news/view/wornick_foods_awarded_ohio_third_frontier_grant_for_commercialization_of_mats). MATS technology uses deep penetration of 915 MHz microwaves (relative to 2450 MHz in domestic microwave ovens) to deliver predictable and stable thermal energy in single-mode applicators (as compared to unpredictable multi-mode designs) to inactivate pathogens in pre-packaged foods. Proper phase control between two opposing entry ports for each microwave cavity enables control of heating patterns in food packages. The system’s thermal processes shorten the time needed to ensure food safety at 121oC, from approximately 40 – 90 minutes in conventional canning processes to just 5-8 minutes for foods in single-meal packages. The shorter processing times sharply reduce thermal degradation of food quality and nutrition and make possible fully automated industrial operations. This technology was licensed to a start-up company, Food Chain Safety, Maple Valley, WA, which installed the first two pilot-scale systems in food companies in 2012 and is on schedule to install the first industrial system that is cable to produce 150 meals per min by the end of 2013. To support activities for technology development, regulatory approval, and technology transfer, Dr. Tang formed and served as the Director of Washington State University Sterilization Consortium I (DoD support 50%, and industrial supports 50%, 2001- 2010) and Consortium II (industrial supports, 2010-present) with membership representing some of world’s top food and packaging companies (e.g., Nestle, Pepsi-Cola, General Mills, Kraft, Bush Brothers, Hormel, Rexam Containers, Ocean Beauty Seafood and Print-Pack), two military ration producers (Wornick Foods, OH and Ameriqual, IN), the US Army Natick Soldier Center, and Seafood Food Product Association (http://microwaveheating.wsu.edu/). Dr. Tang also conducted pioneering research on radio frequency heating (http://www.csrees.usda.gov/newsroom/impact/2008/nri/01154_radiowaves.html) and value-added processes (http://www.sciencedaily.com/releases/2007/11/071126151351.htm . To recognize his contribution to the development and transfer of novel food processing technologies, Washington State University named Dr. Tang Distinguished Chair of Food Engineering, the first in the history of the University.